With the new release of the imaging software ZEISS ZEN 2 core, users in laboratories are now even more efficient. ZEISS ZEN 2 core is not only used as a powerful tool for image analysis and interactive control of microscopes. 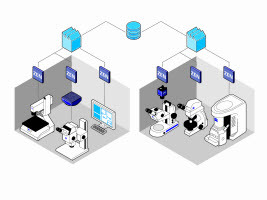 As a lab infrastructure solution ZEISS ZEN 2 core is reflecting multi-modal workflows in connected lab environments with a single general user interface (GUI). The single-user application of ZEISS ZEN 2 core already supports new functions for image acquisition, image analysis, reporting and managing of sample data. Correlative workflows connect light, digital and electron microscopes for more meaningful analysis. Advanced automation makes work easier and more reproducible. With the help of database interfaces, users use standardized workflows and exchange consistent analysis data between different microscopes, offline workstations, and laboratory sites.